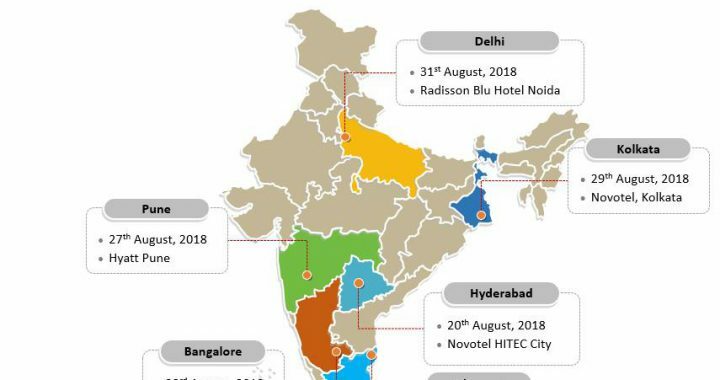 We would like to invite you to attend one of the SiFive & Open-Silicon Tech Symposiums taking place at six different locations throughout India in August. See map in below image for exact locations and date of events. Because India has adopted RISC-V as the national ISA, the time is now to learn from the academic luminaries who created this open architecture, and the engineers who are facilitating the mass adoption of RISC-V through customized silicon, design platforms and accelerators. 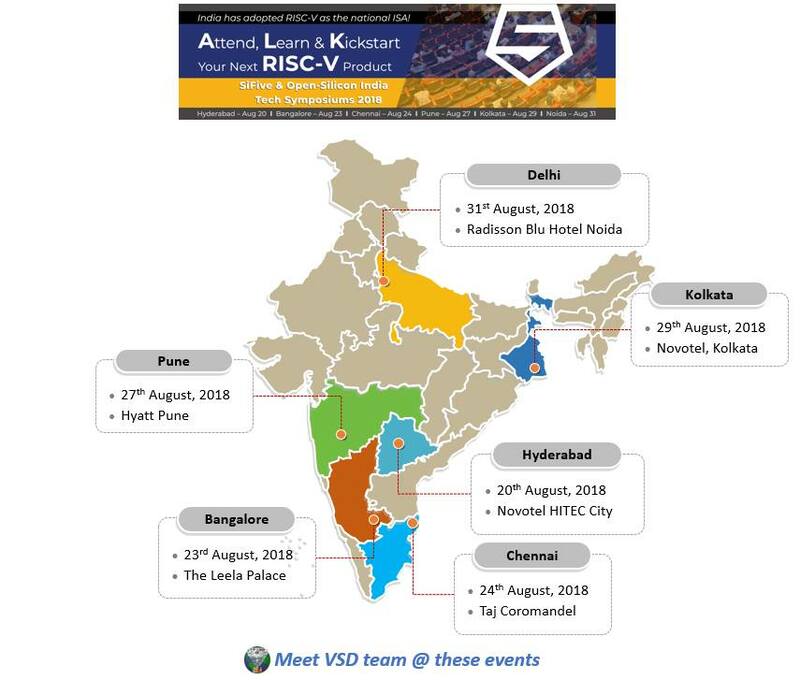 The seminar is free to attend and will include a broad spectrum of guest speakers, ranging from well-known professors at Indian institutes and research organizations to company founders and senior executives from the U.S. and India who are witnessing, first hand, the momentum of RISC-V and its impact on the worldwide semiconductor ecosystem. Seating is limited, so please register online now to secure your spot using below link.